Are you ready for a day of fun?! 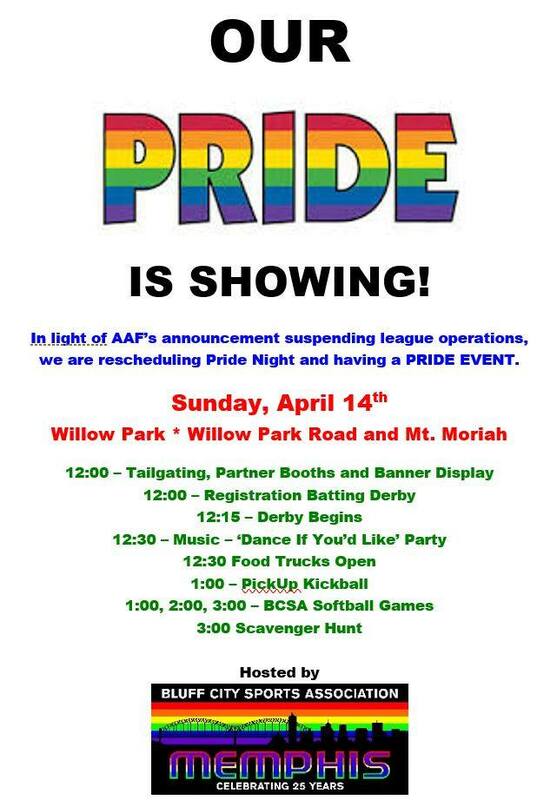 Join OUTMemphis and Bluff City Sports Association for Pride Field Day this coming Sunday, April 14th at Willow Park (4769 Willow Rd, Memphis, Tennessee 38117) for a day of fun, sports, and PRIDE! Fresh off the heels of Queer Youth Field Day, OUTMemphis is setting up a table at this fun event to keep the party going! BCSA is going to have everything from Kickball games to Food Trucks to a Dance party to a Scavenger Hunt, and a portion of the proceeds will be donated to The Metamorphosis Project!